Available in 2 sizes, pediatric and infant. Unique cartoon mask, made from soft material for better comfort providing superior seal for minimum leak and medication loss. Single patient use. ... without any assistance and for those who don't require any additional support to trigger the MDI. The antistatic holding chamber VORTEX offers a variety of advantages. An inhalation chamber is used for asthma treatment. Used in conjunction with an inhaler, such devices increase lung deposition. This improves product efficacy by slowing drug flow through the airway system. The chamber requires the use of a mask and a mouthpiece. 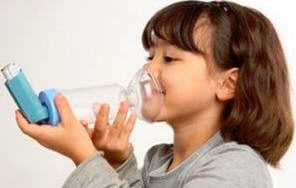 The combination results in better inhalation, especially in young children. Some of these products are plastic, while others are metal. The two primary factors influencing choice are the quality of the materials and the ease of disassembly and portability.